What's next for Jose Mourinho? Maybe...the LA Galaxy? Jose Mourinho’s reign as Manchester United manager ended exactly as so many of his others did. After early success and a contract extension, he fell out with his players, and failed to make it more than three seasons at the club. The question now obviously turns to the future and what happens next. Manchester United moved swiftly to hire former striker Ole Gunnar Solskjaer as a caretaker manager, with the intention on finding a more permanent solution next summer. For Mourinho, it’s a lot more complicated. Manchester United was supposed to be a re-birth for him. Prior to his hiring, he reportedly penned a six page letter to United brass saying “I can change.” He wrote that he could play the attacking football United wanted, that he would promote players from the academy, that he wouldn’t be plagued with the same problems he had at all his other clubs. Over the next two and half years Mourinho proved that he in fact could not change. He is exactly who his resume says he is, and that could be a problem because where is he going to go? There are some who believe he could go back to Italy, but they clearly don’t remember how things went in Italy during his first stint there. There have been rumors swirling all season about a possible reunion at Real Madrid. Apparently Florentino Perez has a very short memory and doesn’t remember how bad a match Mourinho was for that club. Last year Mourinho very publicly flirted with PSG, but when things went south at United, they wisened up and hired Thomas Tuchel instead. It’s hard to see him ever landing at Bayern Munich, or the Bundesliga, his style doesn’t fit that league whatsoever. Besides, no other club in Germany or France would be considered “big enough” for Mourinho. What options does that leave him? The Portuguese national team? We know that he wants to manage them one day, but does the Portuguese national team even want him? Where can this once giant coach go? José Mourinho needs a job. LA Galaxy needs a coach. José and Ibrahimovic could be the best tag-team villain combo in MLS history. Let's make it happen. Oh my god Grant, you’re right! While Grant might be focused on the storylines of this potential move, it actually makes perfect sense for everyone involved. Mourinho may consider himself a manager for only the big clubs, but the reality is he was at his best when he wasn’t managing Europe’s giants. He brought tiny Porto to the field with the big boys. Chelsea may be one of the richest clubs in the world now, but when Mourinho first went there they had just one league title from 1955 to their name. These days we think of Inter as a big club in Italy that has fallen on hard times. In the 2000s they were behind the likes of Juventus, AC Milan, and Roma. 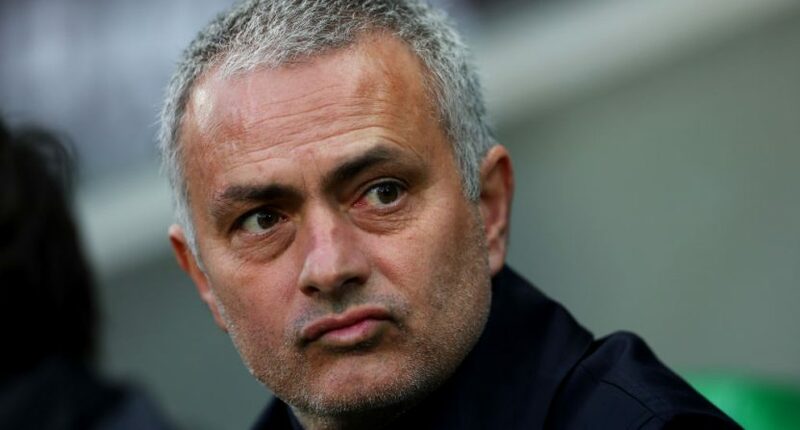 When Mourinho arrived they were coming off winning their first Scudetto in 18 years (no I’m not counting the two they “retroactively” won after they were stripped from Juventus) and hadn’t won the European Cup since 1965. Mourinho returned them to the top of the continent. Mourinho’s career only went downhill when he started managing the giants, which is what makes the LA Galaxy such a perfect fit. The Galaxy are the “giant” club of MLS. They’re the club that likes the stars, the glitz, the money. The club of David Beckham, Robbie Keane, Steven Gerrard, and now Zlatan Ibrahimovic. But beyond that, they’re still an MLS club and their still confined by a salary cap and lower level players. That’s perfect! “Money, very little. Trophies, none.” Mourinho said. That’s exactly what he’d get in the MLS. Players that haven’t won anything and will believe that following Mourinho will help them get to the next level. He’ll still have the star power of Ibrahimovic, the only player who still very publicly backs Mourinho. And with MLS’s salary cap, Mourinho won’t be able to demand excessive transfers, or really even have to deal with signing players – an area that he is astonishingly bad at – at all. For the MLS, it’s a no brainer. The media still shockingly thinks he’s a good manager, especially the American media. Bringing in Mourinho will give the league a new sense of worldwide credibility. He’s still Mourinho so I’d bet he’d still only last three years. I can’t tell you what the third year will look like but I can certainly tell you what the first one will look like. Mourinho will walk in all smiles. He’ll charm the media like he always does at the start of a job. As soon as someone dares to say anything along the lines of MLS not being a top league, the master media spinner will go to work. He’ll say something along the lines of how DC United has Wayne Rooney, England’s all time leading scorer, how the LA Galaxy have Zlatan Ibrahimovic, yet it was Atlanta United who won the title! Clearly it’s a wide-open league. Certainly that’s better than France, which has PSG and no one else. How could you call that a top league when this one is far more competitive? How can MLS say no to that PR? Mourinho’s stock couldn’t be lower in Europe right now. He’s always said he wants to coach in the US one day and he loves Los Angeles. It’s a move that makes sense for everyone. The Galaxy would get their glitzy coach, Mourinho gets an opportunity to fix his reputation and show that he could still win if players would just listen to him, and the MLS gets extra credibility. Sure, it’ll probably ultimately end poorly. But then again, you don’t hire Mourinho if you’re thinking long term.